"This is called 'Winged Rocks.' 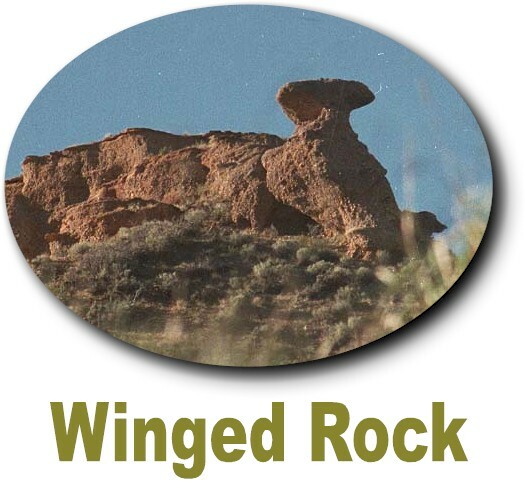 If there was a projection in front to resemble a neck and head, the rock would appear very much like an eagle or some other large bird, with pinions extended just ready to fly." On June 20, 1858 Captin Albert Tracy and the U. S. Troops were camped at the base of this formation. "While I was above, the band struck up and I learned why it was called Echo Canon--the echoes among the rocks surpassed anything I ever heard, and are very sweet."